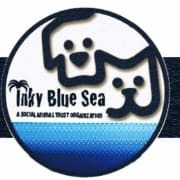 Inky Blue Sea Companion Animal Rescue, Inc.
We need dedicated volunteers to help maintain a sanitary environment inside our cat adoption center. This includes cleaning kennels, feeding/replenishing food and water, and letting the cats out for daily excercize as needed. You will be trained on how to do this. Volunteers will sometimes interact with potential adopters by to supplying them with an application for adoption. Volunteers for this position must be able to work independently, be self-motivated, possess self-initiative, be consistent, on time, and act profesionally in a laid back environment. Experience with cats is important. Working in teams of two is permitted. There is cleaning involved and we all do it, even the Execitive Director. This is the **most important** function of our daily operations, and vital for the health and well-being of our adoptable cats and kittens. Volunteers who are reliable and stay with us for at least 6 months will receive a strong letter of reccomendation for their future endeavors. We also partner with internship programs by providing our adoption center as a work site for students age 17-25 who are strong candidates based on the requirements below. If you are looking to be a leader, and aren't afraid to do get your hands a little dirtu please reach out to us with a short note and don't forget to include a contact number. Volunteers must he able to commit to at least one three-hour shift on the same day evvery week for at least 6 months. We have morning, afternoon and evening shifts avail. 5 More opportunities with Inky Blue Sea Companion Animal Rescue, Inc.